Syndromes: A Name For All Symptoms? A Drug For All Conditions! I decided to write this blog because I was surprised that many people, some close to me, were turned off by conversations that suggest that the body can heal practically all physical, mental, and even skin and gum issues by simply adding just a couple of natural things into our systems and changing a few bad habits. Has Modern Medicine made it all way too confusing? That is the question! Has Modern Medicine shot itself in the foot by trying to name and pigeonhole all combinations of maladies and illnesses into this disease or that syndrome? Once doctors and/or drug companies combine a group of ailments into one bag they then give it a name and this becomes “A Syndrome”. a combination of symptoms resulting from a single cause or so commonly occurring together as to constitute a distinct clinical picture. Here is a link to a partial list of syndromes that is just plain staggering in its size!!! Once these groups of symptoms have a name doctors can then narrow down what drugs or combos of drugs that can be poured on them. With thousands of syndromes to play with drug companies have had a drug designers field day. This skyrocketed in the early 1900’s. Drug companies sprang out of the woodwork and a Gazillion Dollar industry was born!!! If someone has a physical or mental problem they go to their doctor. The doctor listens and lists the combination of issues, aches and pains the patient is dealing with. After some probes and tests you ask: “What’s up Doc? What do I have”??? He says “HMMMMM! Let me think on this. I’ll get back to you”! He then searches through his memory, files and books. If you have this, this, and that symptom, headache, or body irritation, in a certain combination, you may have this Disease (syndrome)!!! He then starts writing prescriptions from a list that falls under that syndrome’s heading. He hopes this will work for you. Doctors do want to help us to the best of their abilities. If all of a sudden you start testing better the doctor assumes that his job is done. This above is an extremely short list for BP alone!!! Note: Many people diagnosed with a syndrome can be prescribed anywhere from 2 to 10 different drugs!!! OK so the drug causes your BP to go down. Are you cured? NO!!! Until you change the bad habits that caused the high blood pressure no amount of meds will cure it. The fact that you are now on a toxic drug, for maybe the rest of your life, just doesn’t come into the equation at all. Once you are on these drugs it is extremely rare that your doctor will take you off of it. So long as your blood pressure is down the drug they prescribed must be working so “Ain’t Broke, Don’t Fix It” comes into play. It is not their fault. This is the state of most medical practices today. These syndromes can cause a lot of confusion! Sometimes when I hear the names that these syndromes end up with it feels almost like a bunch of drug companies are playing “Pin the Tail on the Donkey”!!! Back when I was on some of these drugs, myself, I wanted to wag my tail and flap my ears at all the flies I thought were buzzing around in my head!!! With all of these syndromes the drug companies have had over one hundred years to manufacture thousands of designer drugs with bewildering names and questionable outcomes. The sad truth is that this practice moved medicine away from healing and into high end pain relief. Pain relief is not healing! It is expensive bandaging. What is unfortunate is that most of the time this practice slows down the body’s own ability to heal itself. In many cases the drugs cause stress to other organs such as the liver and kidneys while confusing the body even more!!! In my case one of the things I was dealing with was High Blood Pressure. I could simply have continued to take blood pressure medications and keep right on eating junk food and not concern myself with things like exercise and losing some weight. Drugs are easy to swallow. I get mine free from the Veterans Admin! Of course once I lost some weight my blood pressure went down because our bodies are the finest healing machines in the universe and with the right stuff they do what they were designed to do!!! That is heal and cleanse the body. Our bodies can easily live past 100 with the proper care and nutrients. I am 70. Ginger is 67. We are happy and proud of the direction we are now taking with our future health and longevity. We need to get out of the way of our own body’s healing ability and instead of force feeding ourselves toxic drugs we need to replace the nutrition and superfoods we no longer get from our local grocery stores. We all know this to be true. We just don’t know what to do about it. Is there great Superfoods available? Absolutely!!! Much better and easier to consume than you may realize and inexpensive too. Why do I say that Modern Medicine has shot itself in the foot. Because it has taught us to ask the wrong questions. What do you usually say when you go to the doctor or pharmacy? Note: *Munchausen syndrome is a fictitious ailment. I was just being a wisenheimer!!! Extremely important Questions to Ask instead!!!! OK what should we be asking? First let’s forget all about labels, names, syndromes, diseases, illnesses, etc. Ask This: What should I be putting into my body and/or on my skin that will power up my own healing machine and immune system at the cellular level and on up??? Understanding who to ask is important. Actually chiropractors, physical therapists, and especially Naturopathic Doctors study and understand the importance of nutrition far better than your regular doctor. If the person you ask does not fully understand cellular communication, then ask someone else until you get the right person. This is your future so don’t be afraid to ask a number of questions of a number of people. Health Food Stores or your local GNC may not be your best bet. Many times the clerks are not heavily trained and they are instructed to point you to the products on their shelves which may be great products but not what you need. For instance they might fill your bag with a bunch of bottles of this vitamin or that mineral. Those may or may not be helpful in a few issues but not what we are looking for. What we are looking for here is Cellular Communication and firing up our own Stem Cells. It is easier than you think. Once the term cellular communication comes into the conversation it separates the posers from someone you want to keep talking to. Once you find someone knowledgeable to talk to you are headed in the right direction. From then on it is amazingly simple. Your body is starving for real nutrition. When you give it the right ones it is usually a dramatic change. Your body will start screaming YESSSSSS! If you are really toxic, when you turn that corner, you may have to deal with detoxing or what is more accurate is the term Retracing. More about that in some other of my blog posts. Note: Especially read the one about my wife Ginger healing herself from a twenty year problem with colitis. Many doctors and specialists told her it couldn’t be done. I can use healing because that is exactly what happened! As I said above we need to replace the nutrients that are no longer found on our grocer’s shelf. This is so simple and easy once you know what to do. With the right nutrients our bodies will continually cleanse and detox all the bad stuff that we are bombarded with every day in the air that we breath and the water that we drink. With just a small amount of these Superfoods our bodies become Superhuman healing machines. Is it a drug or medicine that causes the healing? Again absolutely not!!! Fact: Your body is the healing machine. It will heal itself once we stop confusing it and wrecking its cellular communications. Again this is much easier than you have been led to believe. Why do I know this? Because over the past 40 years I have done tons of research to write books to help all the thousands of Veterans I work with to overcome their PTSD, TBI, Poor Health and all the stressors that attack the mind and body. 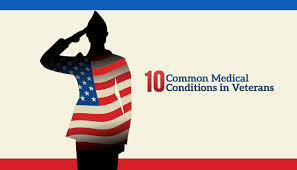 Our veterans are under heavy mental and physical stress that will tear down the body. Stress and inflammation are killers on all levels!!! It will destroy our minds, & bodies. For an example watch what stress does to your skin in a very short period of time. During my research I have been very fortunate to meet and learn from people like Dr Chris Morris and other world renowned Naturopaths that do not rely or believe in Drug Therapy. They have taught me to ask the right questions. Dr Morris and others work with nutrients that have been healing humans and also animals for thousands of years. We have learned that our pets do extremely well with these nutrients as well!!! That is really special. What makes things so great for all us is the state of today’s technical advancements. These ingredients can now be harvested and refined in ways that make them extremely more potent and also extremely safe and easy to use. I am talking about No Side Effects once your body balances itself out. As I have stated that if your body’s way out of whack it may be loaded with toxins that must be flushed out. This is a really good thing and is not the same as those long lists of hideous side effects that you hear about in those fast talking Radio and TV commercials. Those side effects are actually caused by the drugs attacking different parts of your body. Believe me they have nothing to do with cleansing and healing. Those side effects are actually causing more toxins to be stored. Talk about a “Catch 22”! Watch for my blog posts on Cellular Communication, Aloe Vera, Young Tissue Extract and the State of the Art harvesting and combining of the Earth’s best healing nutrients and properties. One of the companies that has made huge advancements in this area is Wellmed Global. We use their products every day and yes we daily give it to our best friend Roofus Barkley (our dog)!